As a new resident of the city of Aguascalientes, I can’t claim that I have done everything folks do when living in Aguascalientes. But one of the things I knew about the city even before moving here was that this was where the biggest fair in Mexico took place, the Feria Nacional de San Marcos (Saint Marcus’ National Fair). The fair itself is incredibly busy because it’s super big. 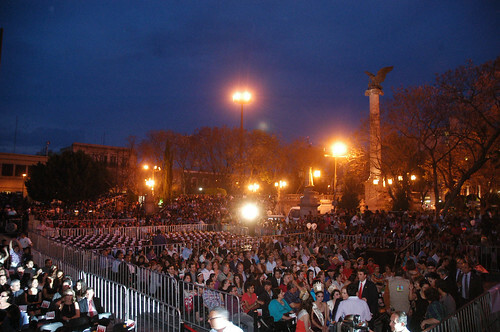 Instead of being located just in one big area (like the Leon Fair), it encompasses a vast majority of downtown Aguascalientes, through the longest corridor (from the Isla San Marcos, a small island that has a little lake and a large set of rides, all the way through to the Feria San Marcos official site, near J.M. Elizondo and Lopez Mateos. 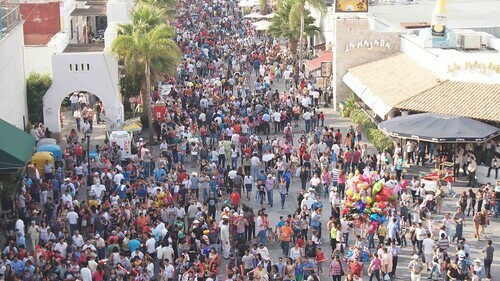 There are a lot of activities in Aguascalientes during the Feria Nacional de San Marcos, although the problem for me is that because it’s so crowded, it becomes really overwhelming. Nevertheless, I think it’s worth visiting.